By God's Grace, I am the Pastor of Greater St. James Baptist Church. We are located at 117 North Mulberry, Lubbock, TX 79403. I was an evangelist for 25 years at Mt. Gilead Baptist Church, and have also preached at Jerusalem C.O.G. in C. for Pastor J and Judie. 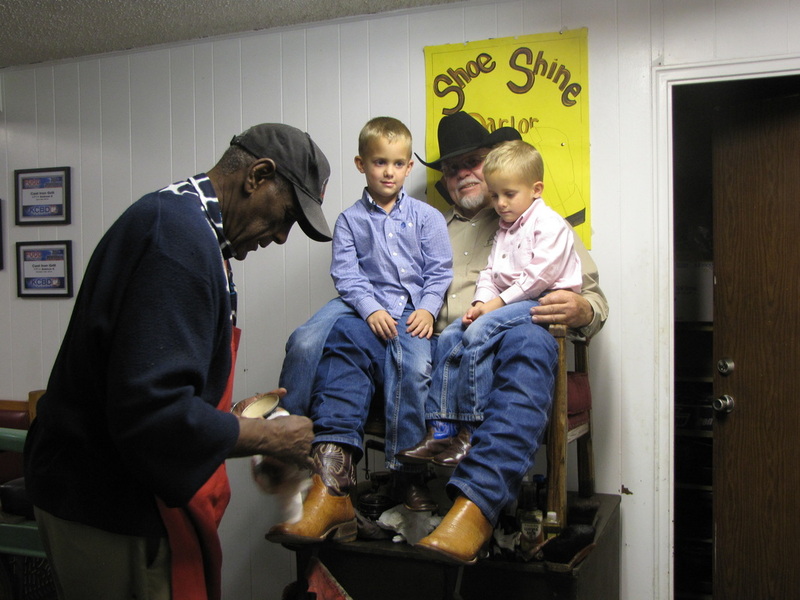 I have tried to shine shoes off and on for 51 years.... My shoe training started with J. B. Mason's at Snappy Shine on Ave J, down town. I love shining shoes. It gives me a chance to witness to God's people about His son and eternal destination. I also love all of God's children and want everyone saved! I am so grateful for Mrs. Stephens and her husband for allowing me to do God's will... and I must say she is a saint of God, and so is her husband. Her compassion for the less fortunate is just God pleasing! She is just wonderful. May God speed in the Love realm dwell always.